Search engine optimization (SEO) aims to produce results for your business by creating an organic, sustainable strategy. Begin by understanding your consumers and determining the strengths and weaknesses of your business. With a healthy SEO strategy, your target audience is part of the discussion of the whole journey because that’s how your business will attract them, by keeping them in mind. 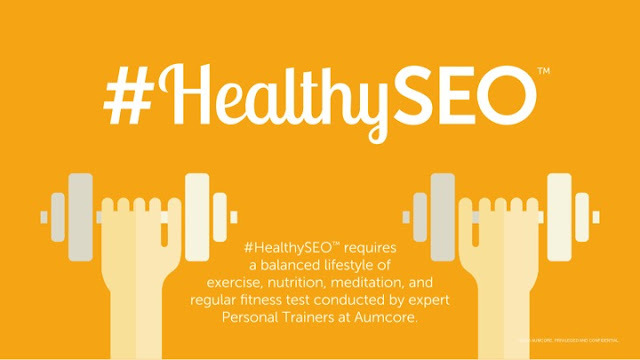 #HealthySEO™ is Aumcore’s unique approach to a holistic lifestyle of SEO. 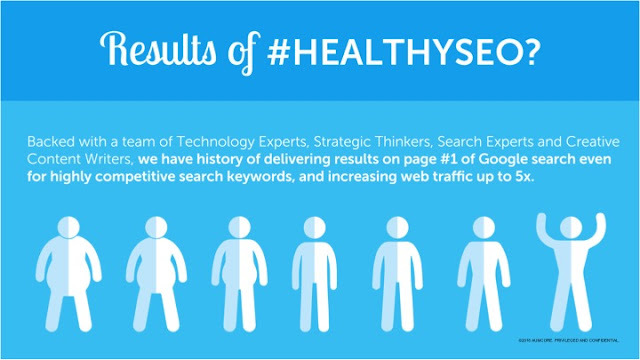 These 10 ways explain how #HealthySEO keeps bringing sustained results for your business. 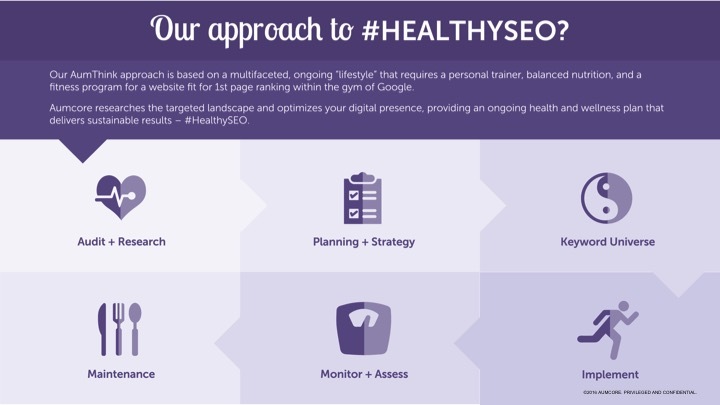 One of the defining characteristics of #HealthySEO™ is that it’s catered to your audience. In order to have quality SEO services get to know what your consumers like, how they think, what intrigues them… etc. Just like in a healthy relationship, there’s going to be a little give and take. If your consumers go the extra mile for your brand with a purchase or follow, put in the extra effort because what you’ll receive in return is a lifetime customer. When you begin a journey to becoming a better, healthier you, there’s always a point where you have to sit down and think about the choices you have and will make. For your business, this means conducting some research on your previous decisions and what impact they made. Was it positive? Did you increase your brand awareness? How did it reflect your brand? In order to improve, determine where to place your efforts. Be thorough and honest. By being honest with your business, and improving where you need to improve, your consumers will take notice and come flooding to you. Advertisements are being thrown at consumers left, right, while they’re watching TV, surfing the net, and some even reach them while scrolling through their newsfeed in the water closet. Because of so much interaction with ads people have developed a kind of ‘banner blindness.’ According to BannerSnack, 54% of consumers don’t click on banner ads because they don’t trust them. Display Benchmark Tools even stated that the average click through rate of display ads across all formats and placements is 0.06%. With an SEO strategy your consumers are reaching you organically. In a study done by Search Engine Watch, the average traffic share of the first organic result on Google is 32.5%, second is 17.6%, and third is 11.4%. 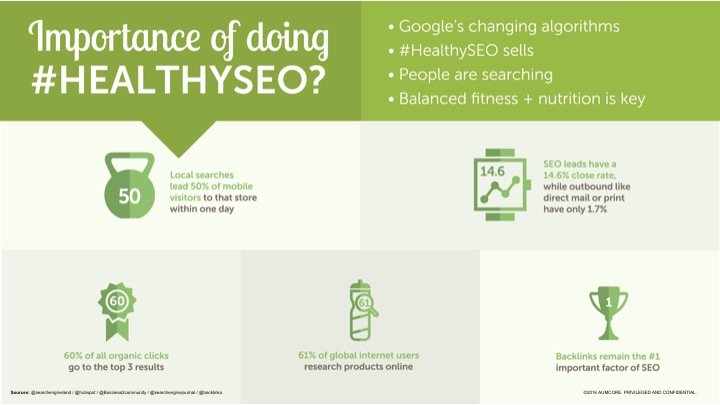 #HealthySEO™ aims to bring consumers to your business by making your web page more easily accessible. No short cuts. No tricks. Everything is done organically. A complete SEO strategy seeks to bring consumers to you. Decide which strategies you want to incorporate and what results you want to see. Figure out what keywords define your brand and how you fair compared to the competition. Think about putting a twist on old SEO services. Do you want to continue sending out emails? Emails with personalized subject lines are 26% more likely to be opened - Campaign Monitor Old tactics still work, but they need a little TLC to be brought into 2016. Once you have determined what aspects of your strategy you want to focus on, it’s time to create a timeline. Set realistic goals for your brand with dates to achieve those goals. #HealthySEO™ brings your consumers to you because of the time sensitive strategy that helps keep your business on track. 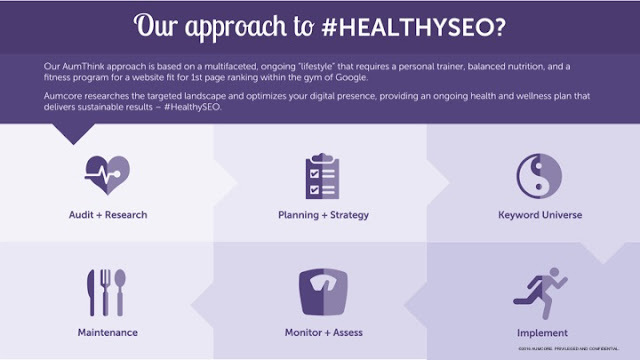 #HealthySEO™ includes producing quality backlinks and one of the most efficient ways to do that is blogging. It has become one of the biggest trends in 2016 because of the results it produces. Marketers who prioritize blogging are 13x more likely to achieve a positive ROI. It’s become a practice adopted and suggested by many web development companies. Guest blogging also helps produce quality backlinks for your page. Posting content on various websites that link back to your website helps bring your audience closer to you. The next step of #HealthySEO™ is making sure your web page is user friendly. Is your landing page inviting? Is it informative? Did it load fast enough? Optimization helped get consumers to your site, now it’s time to keep them there. 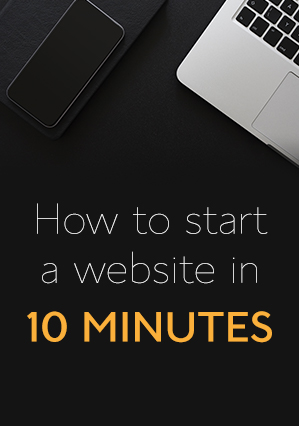 According to a study done by KissMetrics, 25% of users will abandon a page if it takes more than 4 seconds to load. Think about your SEO services NYC based… they need to move fast and with purpose just like the city itself. Social media is fun. It’s interactive. It’s creative. But most importantly it allows you to directly engage with your consumers. 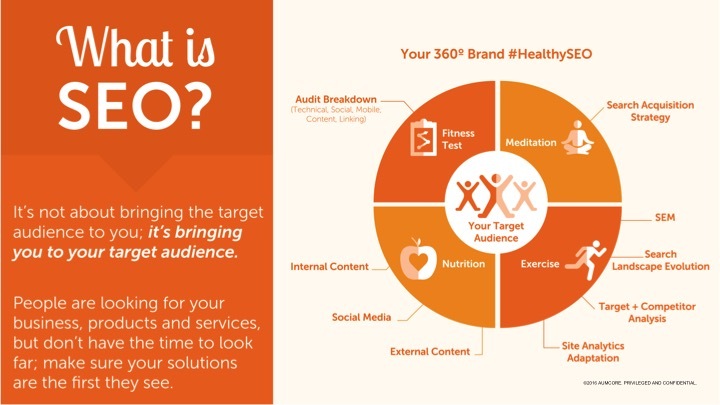 Another way to increase your brand awareness with #HealthySEO to showcase your original content. According to NewsCred , 87% of B2B marketers use social media to distribute content. Use social media to show your consumers all the effort and hard work your employees have been doing behind the scenes. #HealthySEO aims to make your business successful. One sure fire way to do that is to regularly check the metrics you have assigned to measure the results. Create weekly reports to track your progress. Your SEO services are consumer-centric and this approach means consumers are part of the discussion the whole way through. Sustainable, long term results from #HealthySEO™ mean more of your target audience is able to reach your products and services over time. The benefits of incorporating healthy SEO into your strategy means a continued growth in your brand awareness, engagement, and search engine rankings. Because everything is organic, what you’ll have at the end of your journey is a happy #HealthySEO™ strategy for continued results. Want to learn more? Check out Aumcore’s #HealthySEO approach and learn how you can achieve sustained results. Kristina Petrick is a marketing professional offering the latest industry tips and updates, helping guide businesses to success. 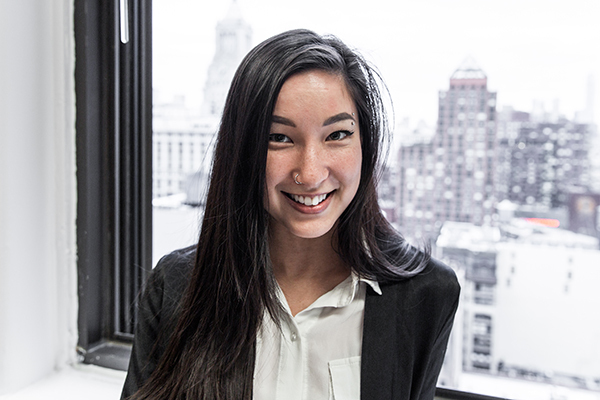 Her work with a leading NYC Digital Marketing Agency has given her the experience and knowledge to help provide valuable insights for brand awareness, social media, SEO services and other aspects of digital marketing driven by results.